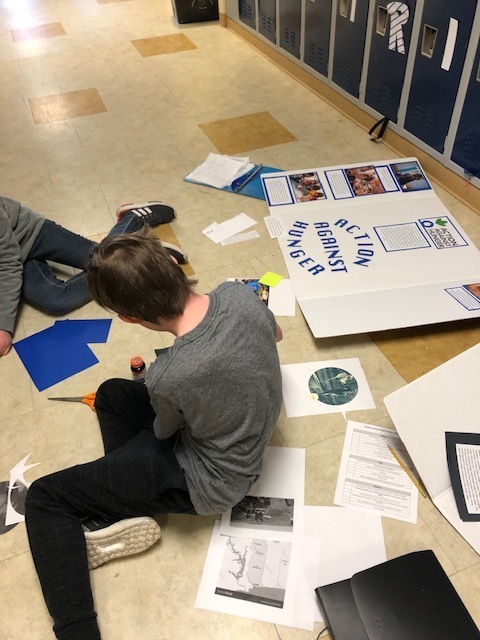 The 7th grade Allagash Team at MSK was busy today preparing their projects for Global Action Awareness Night. Students researched an issue around the world that is negatively impacting people's quality of life, and then found an organization that is working on solving that issue. The students will present the Issue, the Solution, and then offer a Call to Action showing how we can partner with the organization (either financially or by raising awareness) and take the first steps to changing the world. The event is this Thursday, in the MSK Cafe, from 6:30-8:00 p.m.